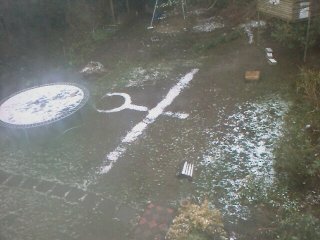 This appeared on the back lawn today as the snow started to melt. Jesus on the cross? A landing symbol for the aliens or a key to the other side? Answers on the back of a postcard please! Know the rules of Hangman’s Cricket?